ASU white lasers promise bright future in lighting, light-based communications. Popular Science names ASU's white lasers as Best of What's New for the year. The invention of the world’s first white laser, which could revolutionize communications, lighting and displays, is being recognized as one of the top 100 breakthroughs of the year by Popular Science magazine. Arizona State University electrical engineering professor Cun-Zheng Ning worked on the problem for 10 years until he and his team of graduate students cracked it. The white laser will eventually produce computer and TV displays with 70 percent more colors than current technology. Laser TVs exist now, but they are bulky, heavy and extremely expensive. And, without the white laser, they haven’t reached their full potential. Ning saw the first laser TV eight years ago in Japan. But don’t camp out at Best Buy just yet. It will take some time for the technology to advance to the consumer level, Ning said. The invention is the product of nanophotonics, the study of light on the nanometer scale (one-billionth of a meter) and how nanometer-size objects interact with light. It combines optics, optical engineering, electrical engineering and nanotechnology. The semiconductor that produces the white laser is formed into three segments that generate red, green and blue lasers that combine to create a pure white light. Growing the semiconductor on a nanoscale was the key to cracking the problem. The LiFi concept is simple: Whatever you use for lighting will also transmit data, the Internet and everything else you get on a phone or tablet. You will get any information you want, instantly, no matter how big. The technology is being developed, according to Ning. It’s impossible to say when consumers will have lighting, displays and LiFi in their hands. The technology is so new Apple, Intel, and Motorola Mobility all refused to comment on it. Apple had a patent for a laser TV but abandoned development of it last year. The Wall Street Journal reported the picture was sub-par and it used an insane amount of power. Though there is still research to be done, the breakthrough discovery is being recognized for its significance by Popular Science in the December issue hitting stands Nov. 18. Each year, Popular Science editors review thousands of products in search of the top 100 tech innovations of the year — breakthrough products and technologies that represent a significant leap in their categories. The winners, the Best of What's New, are awarded inclusion in the much-anticipated December issue of the magazine. Best of What’s New awards are presented in 12 categories: automotive, aviation, computing, engineering, gadgets, green, entertainment, security, software, home, health and recreation. Ning joined Arizona State University in 2006 as a full professor of electrical engineering from the NASA Center of Nanotechnology at NASA’s Ames Research Center, and University Affiliated Research Center of University of California, where he was a senior scientist, group leader in nanophotonics, and task manager in nanotechnology. He is also adjunct or guest professor of several universities in China. Ning has published more than 160 papers and given more than 120 keynote-type talks. 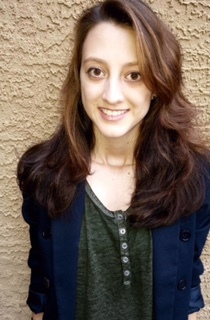 Sarah Moser, a student in Barrett, The Honors College and justice studies undergraduate at the ASU School of Social Transformation, was selected as a Bidstrup Undergraduate Fellow for the 2015-2016 academic year. This recognition serves as a testament to outstanding commitment to academic excellence. The project involves women service providers on a local and national level, with a specific focus on the underrepresentation of female firefighters. "My research will question why there are so few women in this field of firefighting and how women experience work in this predominantly male setting,” Moser said. “I am also interested in any organizational characteristics and policies that might support/discourage the retention of women." Moser noted that, "while such studies have been done about women in policing and women working in other criminal justice fields, little such research has examined issues of women's underrepresentation in the field of firefighting." Moser will graduate in May 2016 with a bachelor's in justice studies as well as a bachelor's in sociology. She aspires to work for the federal government following the completion of her education.